The ear-busting bang on Otedola Bridge takes Kunle Ademola* by surprise. He is still clutching the steering wheel when he spots the inferno on the adjacent road. Panicking, Kunle grabs his phone and flees the car, his brother just behind him. Another tanker carrying fuel had just fallen in flames. It is common to see container-carrying trucks and fuel tankers moving in tandem with private and commercial vehicles on Nigerian roads. Most motorists despise these trucks and tankers; having heard stories of explosions or collapsing trucks, many people try their best to zoom past them. This is especially true in Lagos, where such vehicles are the leading cause of road accidents and traffic in the state. On 28th July 2018, one of these tankers loaded with at least 30,000 litres of fuel exploded, engulfing a portion of the Otedola Bridge along the Lagos-Ibadan expressway in flames. The explosion killed at least 12 people and destroyed over 50 cars. Fearing for their lives, motorists on the bridge abandoned their valuables and scampered to safety. Kunle Ademola, a 25 year old policy consultant, was one of these people. Kunle had been driving on CMD road, adjacent to the bridge at ground level, and those there feared the fuel and fire would spread downward and consume them—like it did with the surrounding vegetation. “It did not get to our end. Instead, balls of fire consumed the drainage pipe and vegetation towards the end of the bridge,” Kunle tells me with palpable relief. But what exactly happened with the Tanker? The driver had lost control of the vehicle and was struggling to bring it to a halt. Two of the occupants of the tanker tried to put a wedge under its tyres, but it wasn’t working and kept rolling backwards on a slope. As the fuel spilt, people around the tanker were trying to dash out of the way. Not everyone was lucky. The tanker released a loud bang before exploding, setting fire to one of the busiest expressways in the country. It was at this point that most people began to flee, and there was no coordination. Women selling fruits in the stalls opposite the expressway left their wares and ran in different directions, and just as Kunle was approaching Magodo Brooks Estate, a desperate driver reversed his pristine BMW into at least two cars, worsening the commotion. Kunle says everything happened very fast. “Everything was over in 5 minutes.” Impressively, a fire truck arrived from the Alausa fire station just two minutes after the explosion died down. Kunle commends the rapid response, explaining how the firemen quickly extinguished the flames and began their rescue operation. Seeing the thick flames slowly disappear, and with the initial fear giving way to curiosity, many of those who fled began returning to the scene. On the way back to the car, properly looking around for the first time, Kunle sensed the apprehension in the air as people recovered their bearings. He tells me about a woman whose child was missing, and another who left her two children in the car and took off when she saw the fire. Shocked, he would later discover that she had aggressively told them to go and initially thought they were behind her. For some reason, they stayed put. It was then that he noticed what he had left behind. “I left my laptop and wallet in the car when we ran; my brother left his phone in the car too. Surprisingly, when we got back, everything was still intact,” he says. Kunle is right to be surprised as Nigerians are notorious for taking advantage of tragedies. A lot of the time, rather than help, people pretend to be sympathisers while making away with valuables from accident victims. Kunle believes that the suddenness and intensity of the explosion made exploiting people the last thing on anyone’s mind. Besides being reunited with his belongings, Kunle was taken aback by how quickly fake news about the explosion had spread. “I was still there when I started receiving WhatsApp broadcast messages about the tanker explosion,” he says. “The shocking part was that the messages had estimates of the number of people that died during the explosion. All of this was being passed on when the officials on ground had not even started counting casualties,” he adds bemusedly. Fake news of tragedies or violence is typical in Nigeria. And this is alarming when you consider that it not only promotes misinformation but can lead to violence in the form of reprisal attacks as we have seen with Nigeria's current Herdsmen crisis. Perhaps, this is why the Nigerian government launched a campaign against fake news earlier in the year. Even though social media surprised Kunle, he does not agree with the official figures released by the Lagos State Government. “Reports say 12 people died in that explosion. When you consider the number of body bags used by officials and the number of vehicles caught in the fire, the numbers don’t add up,” he asserts. Kunle may have a point: both the Federal Road Safety Commission (FRSC) and the Lagos State Emergency Management Agency (LASEMA) reported 52 burnt vehicles but could not account for the occupants of those vehicles. On meeting other survivors of the explosion, Kunle tells me that he talked to some people who were on the expressway and made it out of their Danfo on time. “They kept saying their driver was very sharp. 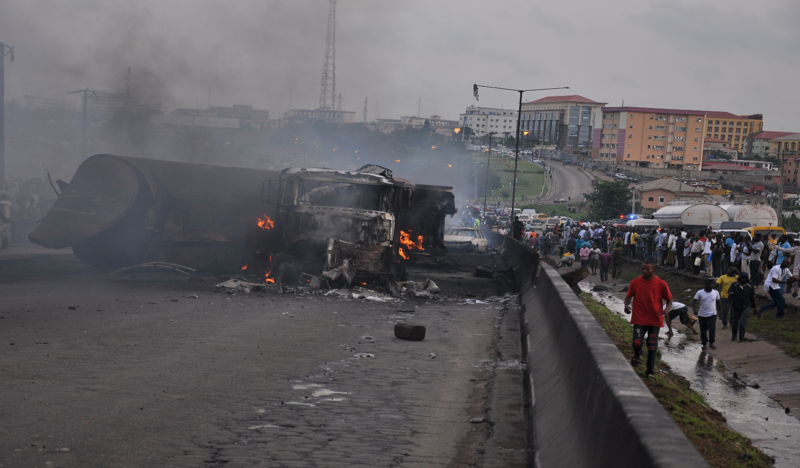 Apparently, he had seen the tanker spill its content and moved the bus in reverse with speed,” he tells me. “Everyone in the bus seems to have made it out alive,” he marvels. Not all heroes wear capes. On his way home, Kunle called his mother to explain what had happened. While he was on the phone with her, he noticed an angry mob in front of the Omole II Estate gate. “They were looking for the security guards to beat them up,” he laughs. A lot of people had run to the estate for safety, and the overwhelmed (and overzealous?) security guards had responded by locking the gate. “It was a bit hilarious because I saw one of the Estate security officers wearing casual clothes like a civilian. 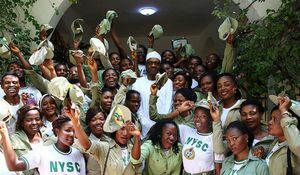 He had changed from his uniform to avoid the mob,” Kunle says, smiling. As Kunle and I finish speaking about him and the bus passengers, a solemn thought crosses my mind: these were the lucky ones; many others did not make it. Regrettably, an explosion like this is going to happen again. For as long as fuel tankers and other hazardous trucks ply roads with other vehicles at the same time, the threat of death and disaster forever lurks on Nigerian motorways. 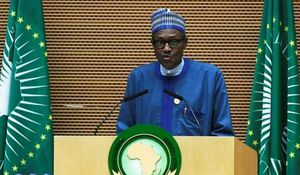 Nigeria: The Giant of Africa?